As the Crows Fly is a design business run by Bee Hayes in Bristol, specialising in handmade ceramics and illustrated home wares. ATCF produces both hand-thrown and slip cast porcelain ceramics with distinctive ranges incorporating botanical hand illustration, graphic midcentury modern glazed pieces and polished coloured vessels. Original, hand-drawn illustrations are also applied and fired in-house onto fine bone china wares, and made into tea towels, screen printed in the UK. 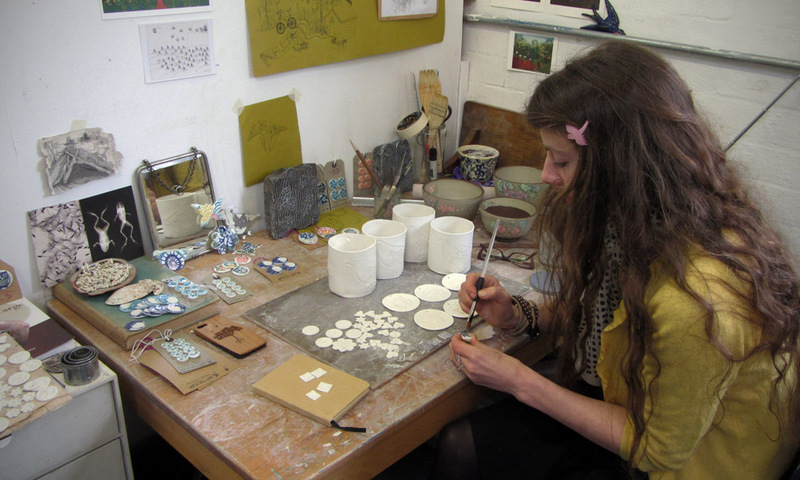 With a background in Fashion Design, designing for boutique London brand Whistles, followed by work as in-house graphic designer for an international NGO Bee has come to ceramics and home ware as an ideal medium with which to see the creative process through from initial idea to finished product. This allows for unlimited scope and freedom in product development and experimentation. Please contact me at asthecrowsfly@live.co.uk if you would like further details of product ranges or to enquire about trade prices or exhibitions. As the Crows Fly is based at The Works in Bristol. You can read more about the artistic process on this blog interview with Made in Bristol. The Works: Fabrication Space, Old GPS Automation Building, Stafford St, Bedminster BS3 4DA. I just christened my ‘limited edition’ Farnborough mug and what a grand cup of tea! Appropriately at the same time the four Breitling wingwalkers flew overhead en-route to their home base at Cirencester having completed their last display slot at Farnborough. I hope the show was a success for you.